Any Used Chrysler, Jeep, Dodge, or Ram which qualifies is registered in the program is Inspected and Protected. 3 Month 3,000 Mile Max Care Warranty from your purchase date. 3-month Sirius XM trial subscription (if equipped). Local and National Bank programs are available through Juneks for finance with approved credit. 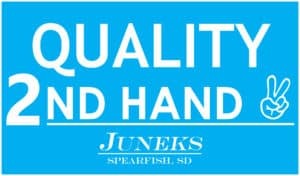 Juneks Quality 2nd Hand Vehicle is less than 10 years old and has less than 120,000 miles. Benefits of purchasing this vehicle includes a 23 Point Inspection such as the brakes, tires, other safety items. Vehicle Service Contracts are available for purchase. 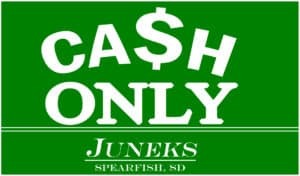 Juneks Cash Only Vehicle is greater than 10 years old or has more than 120,000 miles. All Cash Only vehicles are sold As-Is, and we welcome you to arrange an inspection by your mechanic and will consider any reasonable offers for purchase. Due to age and miles the vehicle finance is limited to cash, cashier check, or finance through Juneks but is limited to local banks. In a nutshell, we want to be completely transparent when you are looking at a pre-owned vehicle, and there are many variables to navigate when purchasing a used vehicle. We know, that shopping for a used car can be an overwhelming experience. 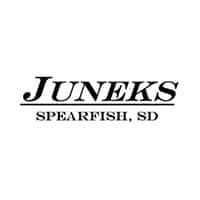 Our hope is that if you know; the planned use of the vehicle; your budget; and the status of a vehicle’s warranty protection, our transparency will make Juneks in Spearfish your first choice to find your next; beater, field truck, family hauler, or that dream vehicle you’ve been searching for! Thank you for the Feedback June: We know you have purchased many a vehicle, we appreciate your comments.